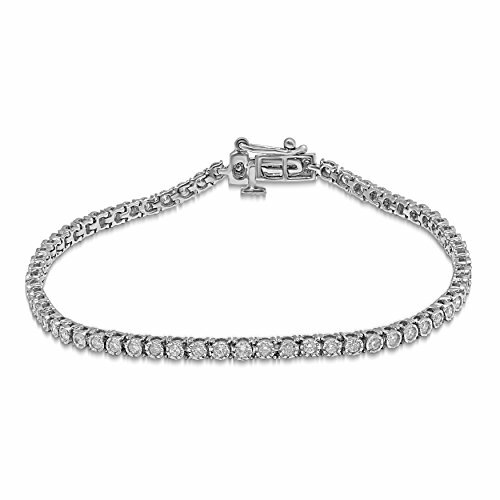 This 1.00 cttw Diamond Tennis Bracelet in 10K gold, whether in White gold or Yellow gold sits pretty on your wrist. 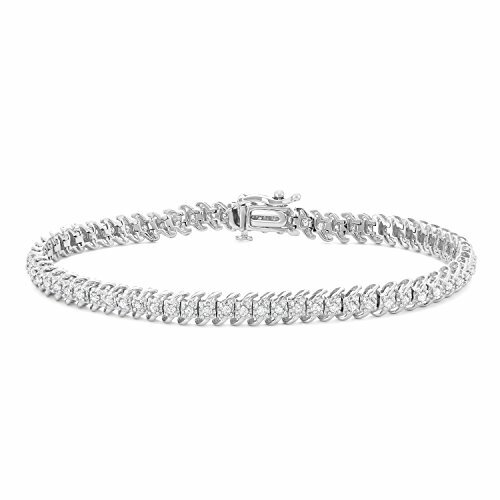 The flexibility of this bracelet makes it very attractive and complements any outfit. It is sure to make a statement and attract complements from everyone who sees it. 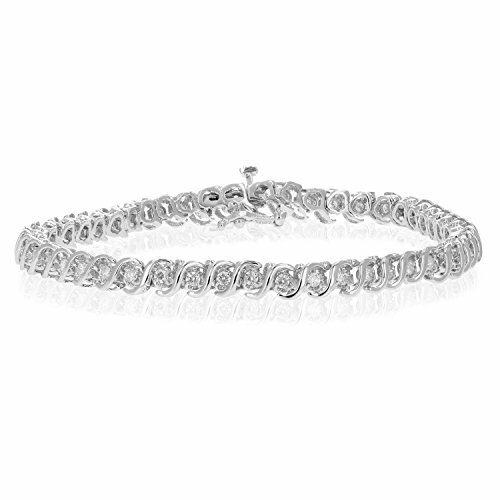 1ct Diamond Classic Tennis Bracelet 10k White Gold 7"
This classic style tennis bracelet features 52 round brilliant cut natural diamonds. All diamonds are prong set in 10k white gold. 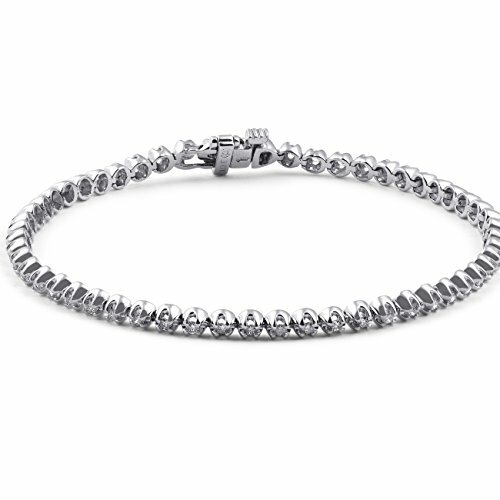 The bracelet is secured by a double locking clasp. Measure a standard 7 inch length. 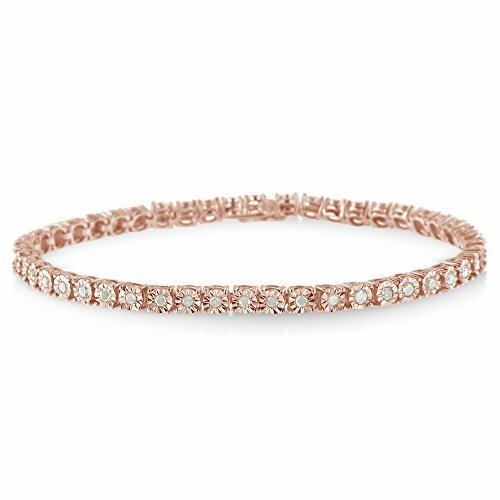 This feminine tennis bracelet is made up of the most lovely, multifaceted rose cut diamonds, which give off a wonderful sparkle. 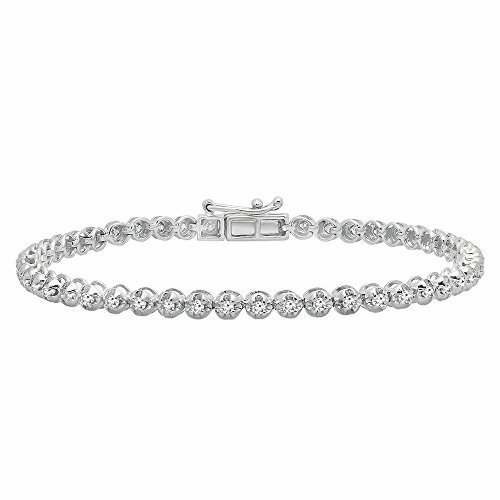 This bracelet has 48 rose-cut, promo quality diamonds, which are on the lowest on the diamond color and quality scale. Rose-cut, promo quality diamonds are milky and cloudy in nature. They have an asymmetrical ball shape and are filled with inclusions. These are on the lowest end of the diamond quality scale. Each diamond is set in a miracle plate that makes the diamond look bigger; this is to achieve a larger diamond look for your bracelet. Available in your choice of pink, yellow, or white colored sterling silver. Size options include Size 7 and Size 8. 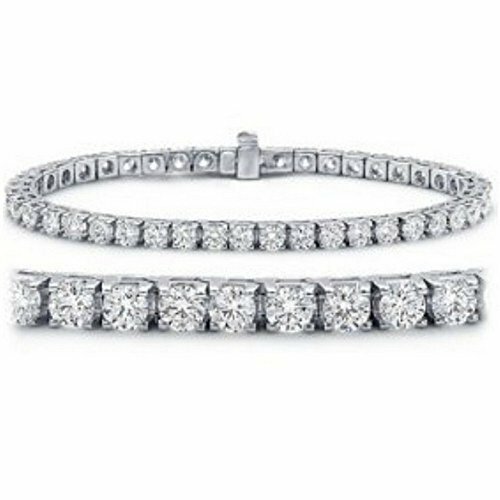 1 CT Round Cut White Natural Diamond Women's Bracelet In 10k Yellow Gold-8.5"
1 CT Diamond Bracelet S-Link Style 10K White Gold. The Diamonds are Natural (No Color or Clarity Enhancement). 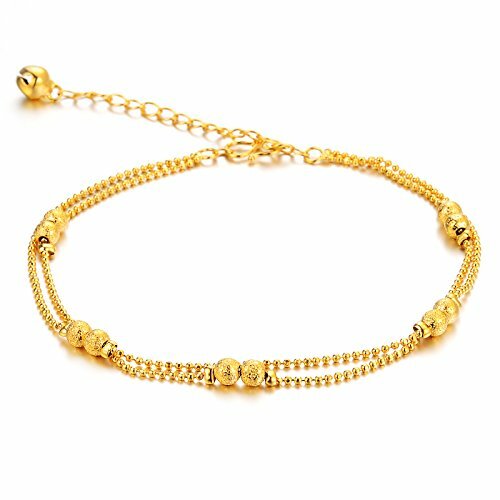 The minimum total diamond carat weight is 1 CT.
Women's Anklet Bracelet 18k Gold Plated Double Row Beads Grind Arenaceous Bead Pendants Foot Chain Adjustable L7.87"